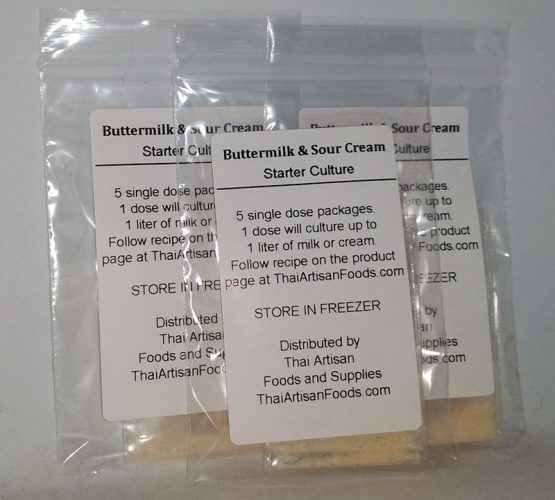 In the sachet includes 1 teaspoon of dehydrated milk kefir grains and 1 tablespoon of powdered milk to help keep the grains healthy and happy. Kefir – The alternative to Mesophilic and Thermophilic. This may be the perfect cheesemaking culture. It’s a biodiverse culture that is very easy to care for, simple to use, and nearly impossible to contaminate. The process of keeping kefir and using it for making cheese is similar to that for keeping sourdough starter for baking bread. Kefir is a unique cultured dairy product that is one of the most probiotic rich foods on the planet and has incredible medicinal benefits for healing issues like leaky gut. Its unique name comes from the Turkish work “keif”, which means “good feeling”. Kefir contains high levels of vitamin B12, calcium, magnesium, vitamin K2, biotin, folate, enzymes and probiotics. Because it does not have a standardized nutrition content, the content values can vary based on the cows, cultures, and region where it is produced. Yet even with the range in values, it has superior nutrition. If you are looking for active grains, visit our friends at HK Probiotics. 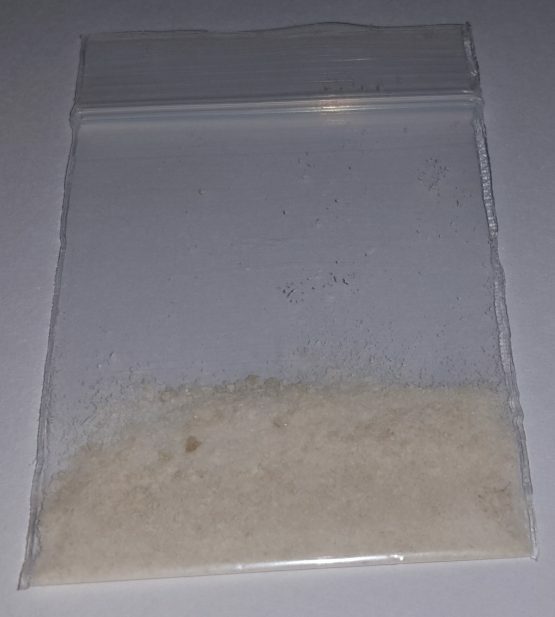 We have had the kefir grains since May 29th and producing Kefir has been going so well that I had to give a fair amount away to friends here. Well, the upshot has been that they enjoyed it so much and asked for more that I thought the kindest thing to do was to purchase more grains and give them the chance of making their own. There is now a bit of a Kefir-collective on this part of the island! The grains quickly arrived after I ordered. I have to say it has been amazing ever since! From the off, when we were rehydrating them, they produced the most amazing Kefir! We have done secondary fermentations as well, and it has all been so easy! The only draw back is that you need places and receptacles to store it in, and of course I never thought that I would produce so much of it in such a short space of time, fortunately though my neighbours have rallied round! 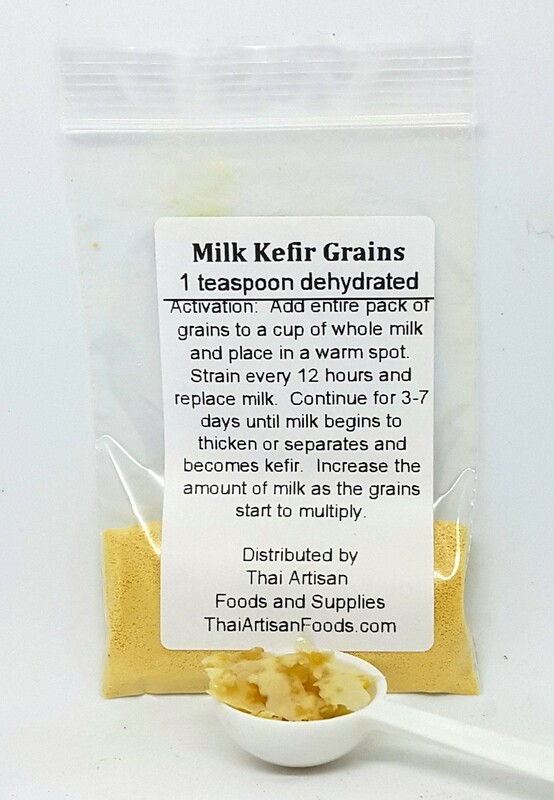 As I live in a remote area, I was happy to find a resource to get me started making kefir here in Thailand. The grains arrived in just a few days and were easy to rehydrate. As the weather has been quite warm I started churning out kefir faster than I could consume it, but I’ve got things under control now and am enjoying my kefir smoothies every morning!